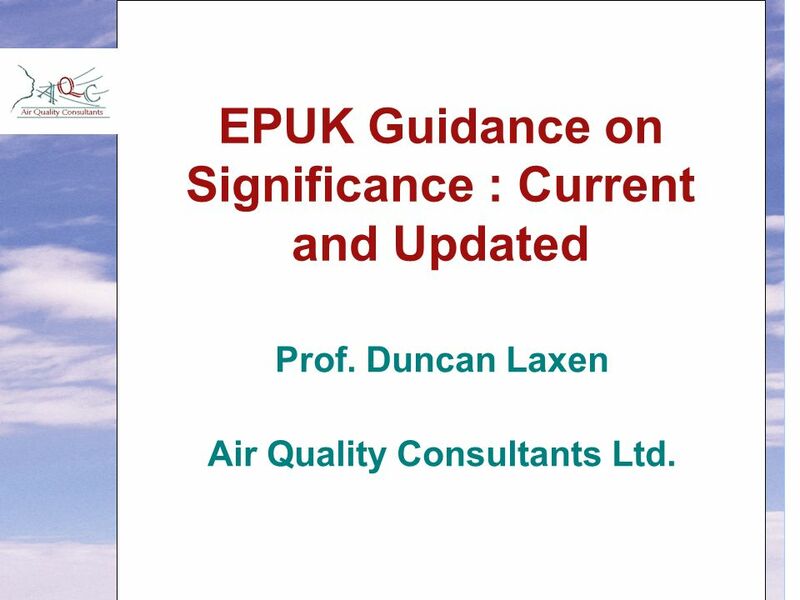 EPUK Guidance on Significance : Current and Updated Prof. Duncan Laxen Air Quality Consultants Ltd.
1 EPUK Guidance on Significance : Current and Updated Prof. Duncan Laxen Air Quality Consultants Ltd.
17 Update – Challenges  How to incorporate numbers of people exposed to: a) changes b) levels above standards? 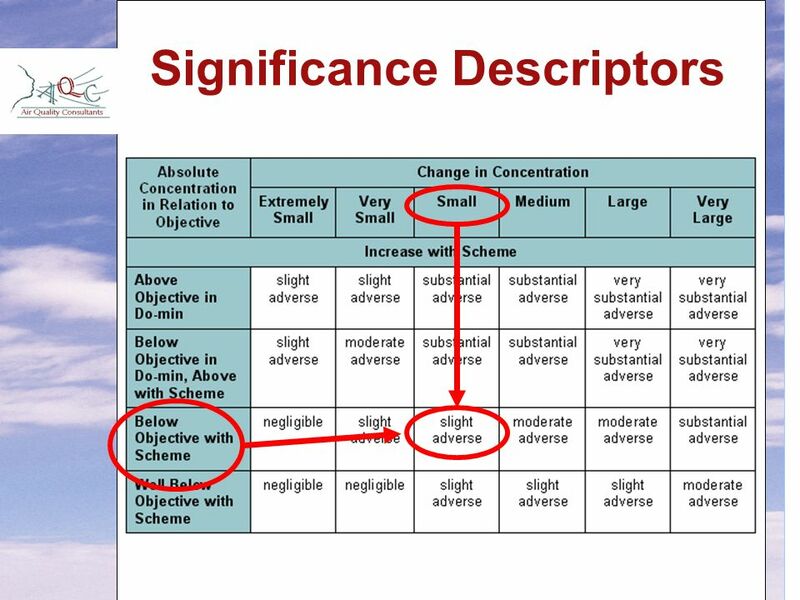  How to describe overall significance if both increases and decreases (WebTAG?) 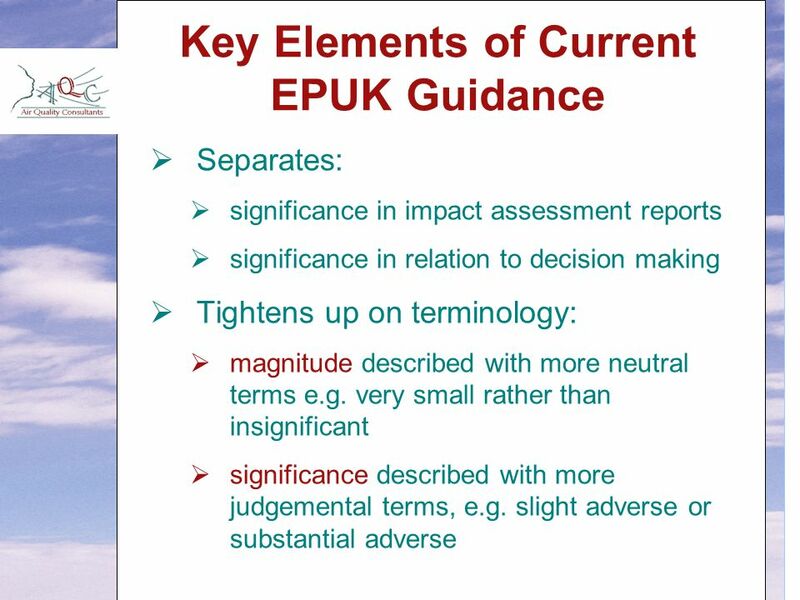  Are magnitude descriptors at right break points? 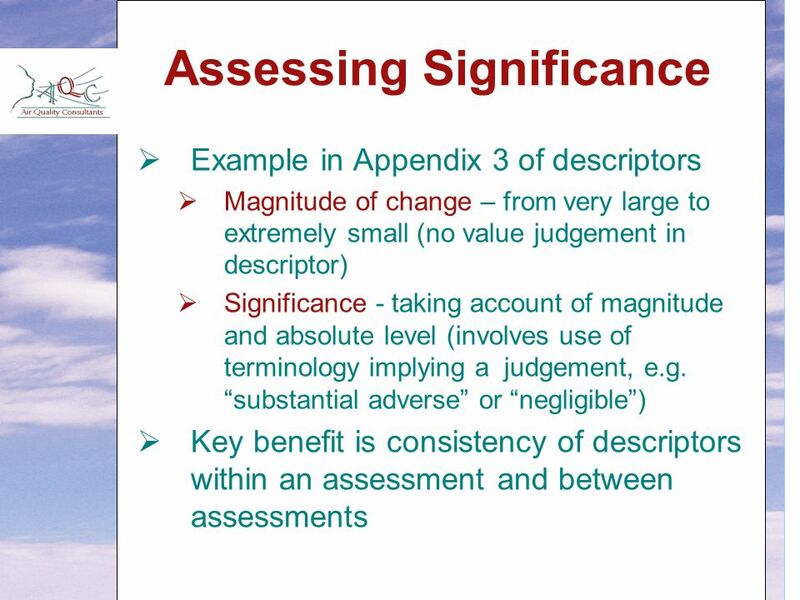  Should magnitude be absolute not %? 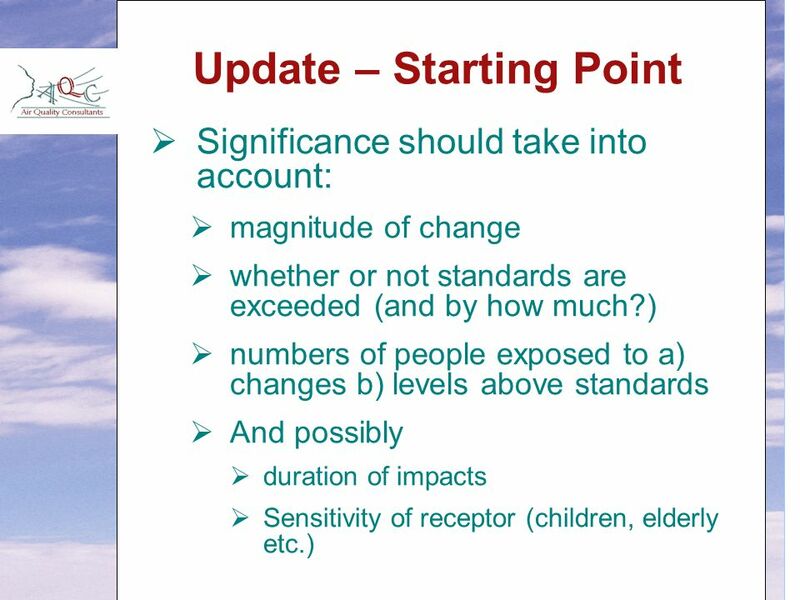  Should going from below to above objective be given different significance? 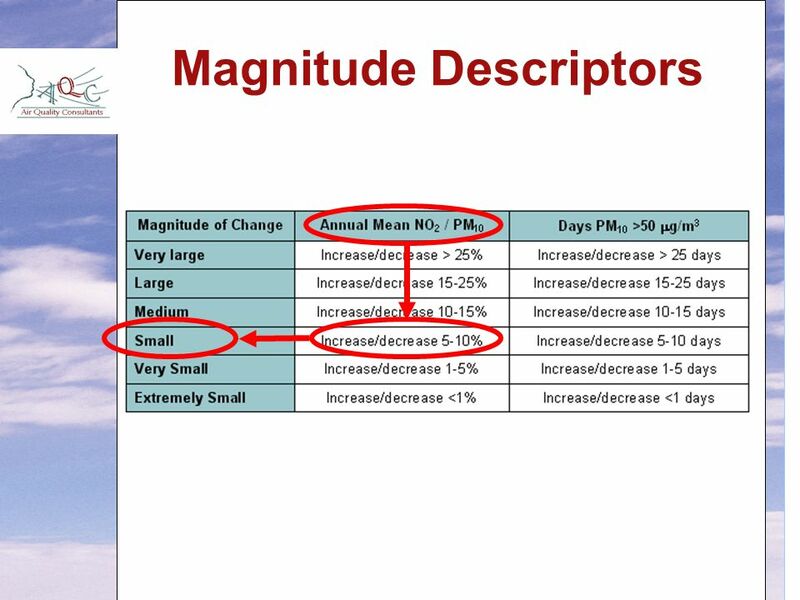  What about PM 2.5 ? 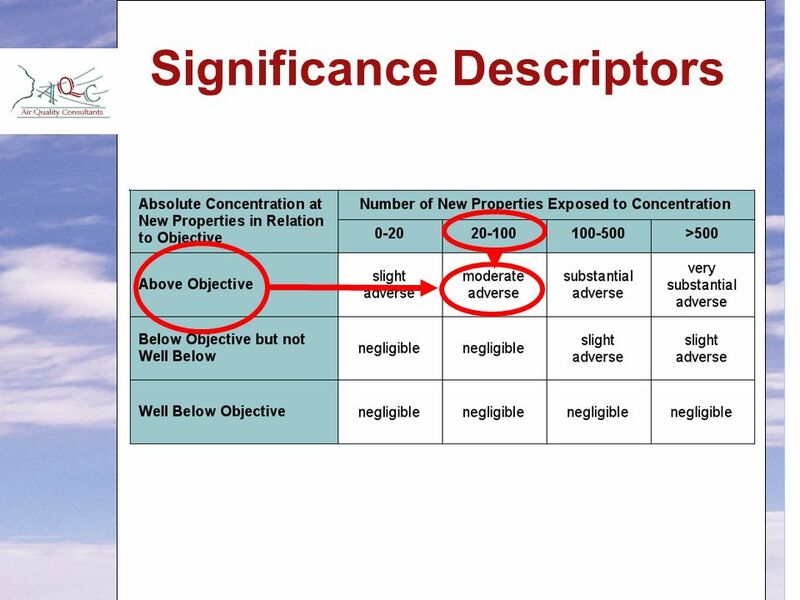  Significance descriptors for low concentrations, e.g. 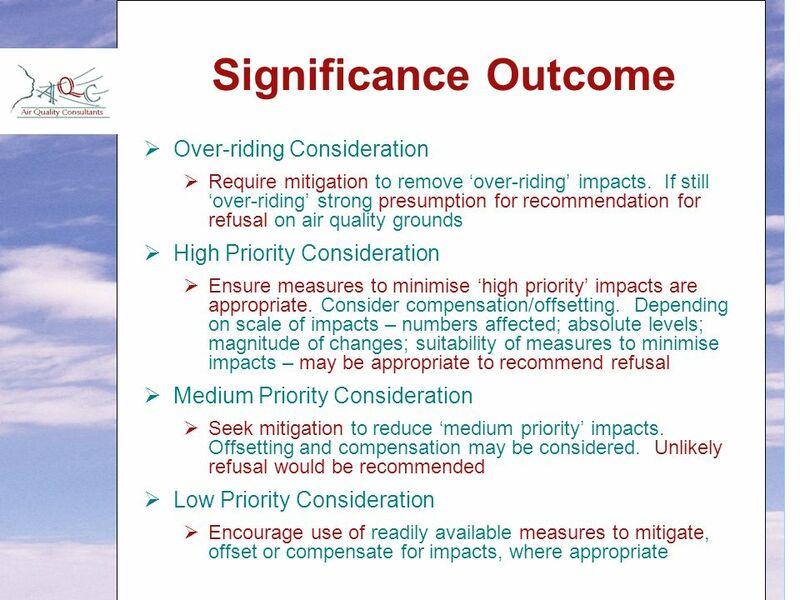  how can a ‘very large’ increase in annual mean NO 2 from 4 to 5.5  g/m 3 be a moderate adverse impact? 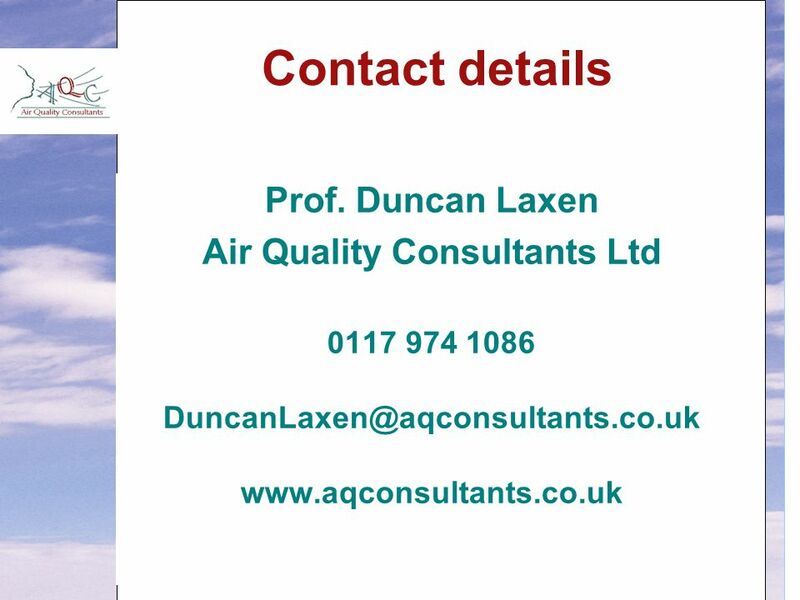 Download ppt "EPUK Guidance on Significance : Current and Updated Prof. Duncan Laxen Air Quality Consultants Ltd."
DustScan Ltd Planning Consent for Mineral Works Oliver Puddle 25 September 2013. Webinar: How to handle PRP appeals Presented by Heather Mitchell, employment lawyer at Browne Jacobson. 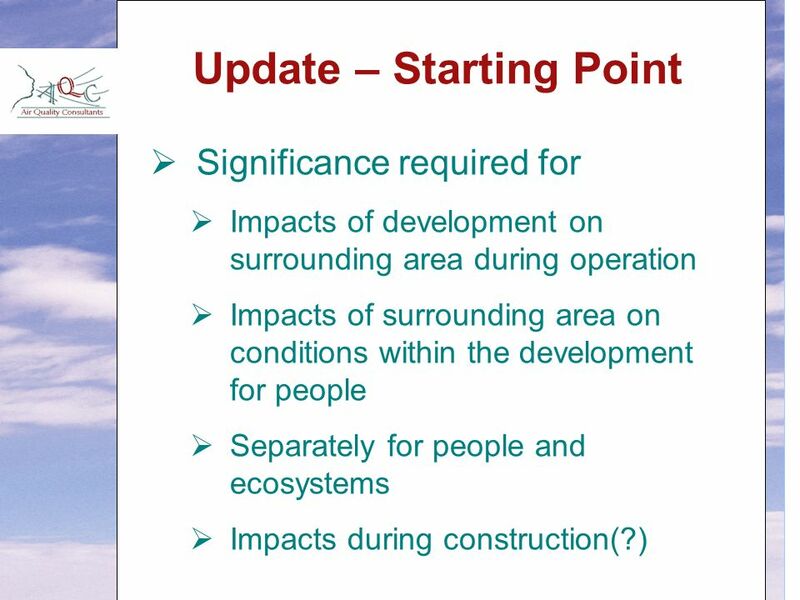 Consultation on the new arrangements All schools will have been inspected under section 5 by August 2009 and Ofsted are developing new arrangements A formal. 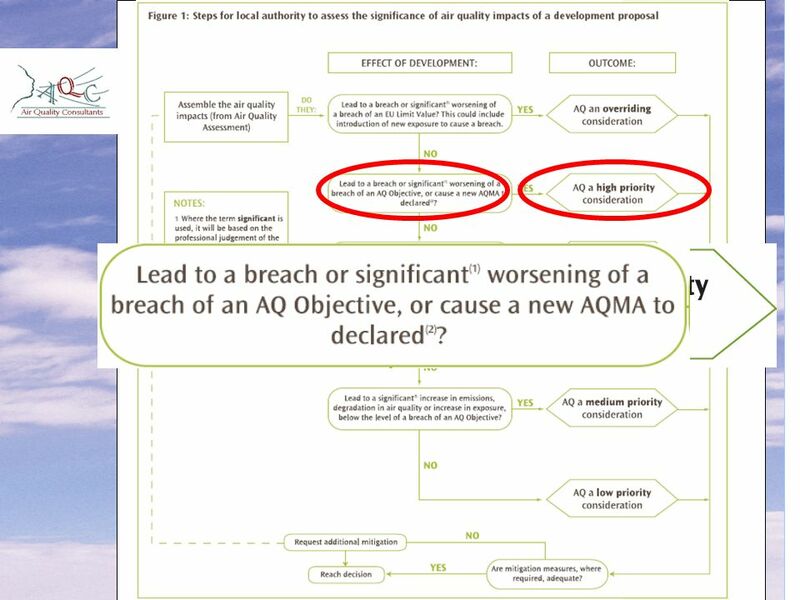 Health and Safety Executive Regulator’s expectation in implementation of comparative assessment Jayne Wilder Chemicals Regulation Directorate, Health and. 1IT Project Management, Third Edition Chapter 4 Chapter 4: Project Integration Management. 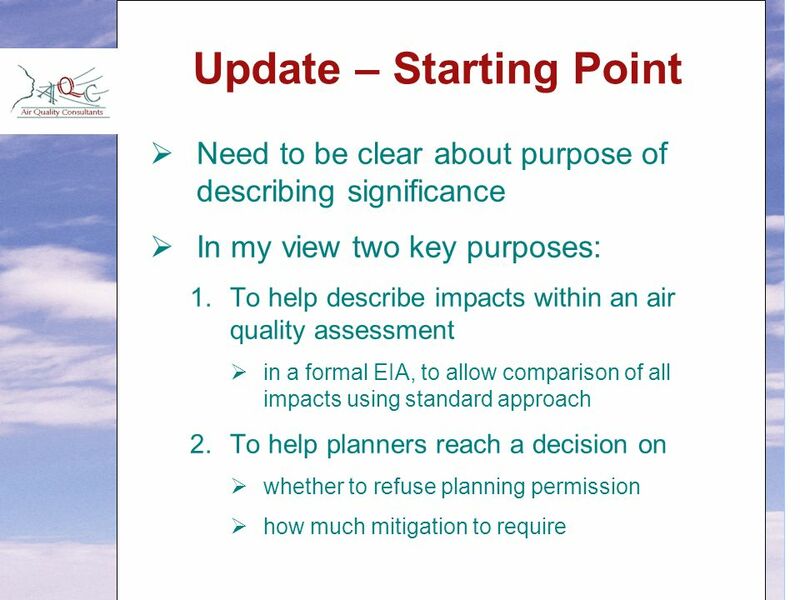 Mitigation for Air Quality in the Planning System: case study and lessons learnt Dr Clare Beattie. 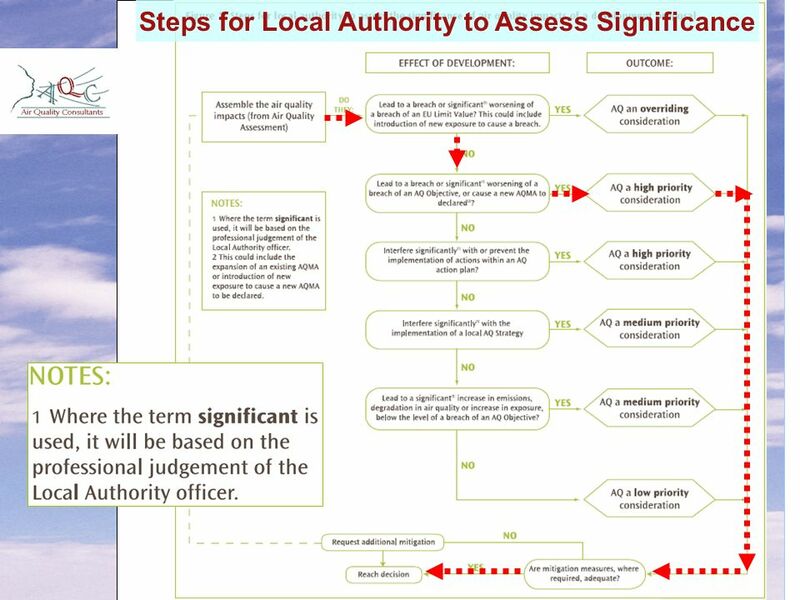 Supporting people with a learning disability Introduction to Project Management Presenter: Steve Raw FInstLM, FCMI. 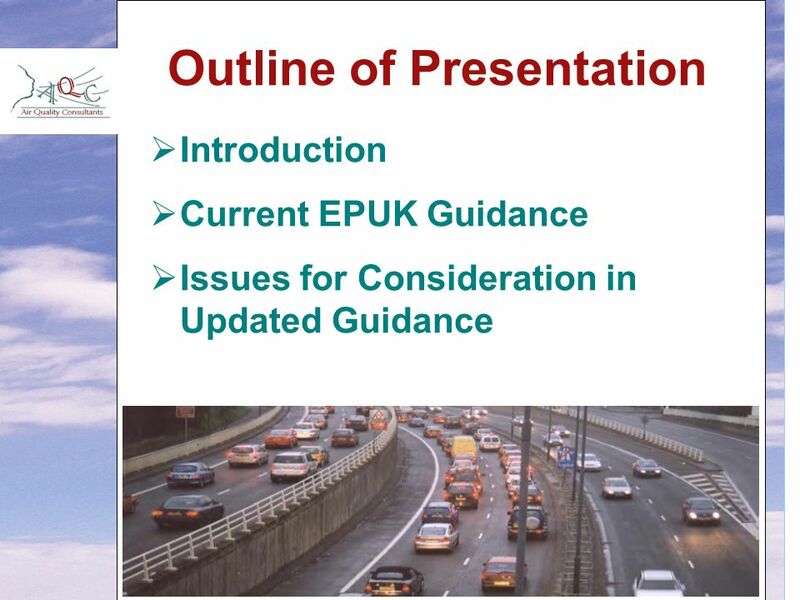 Webinar: A Headteacher's Guide to Performance Management with PRP Presented by Josephine Smith. © Grant Thornton UK LLP. All rights reserved. 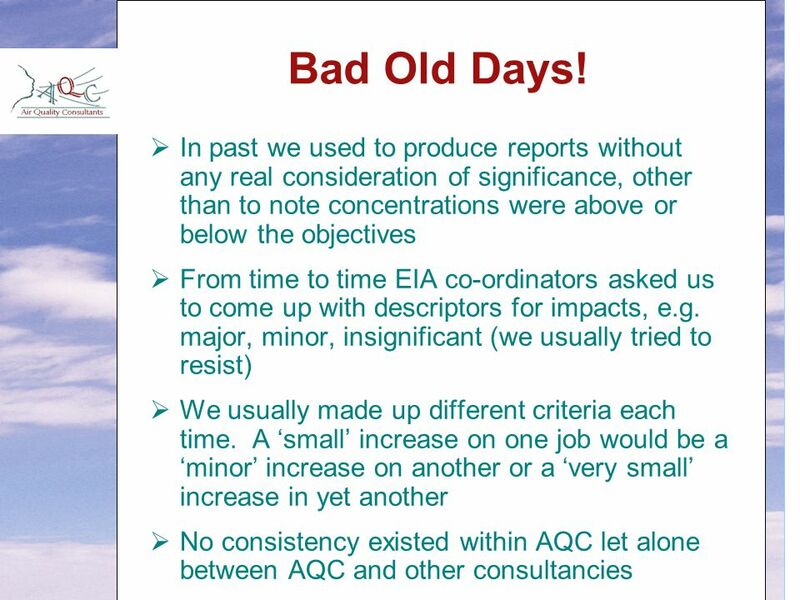 Review of Sickness Absence Vale of Glamorgan Council Final Report- November 2009. 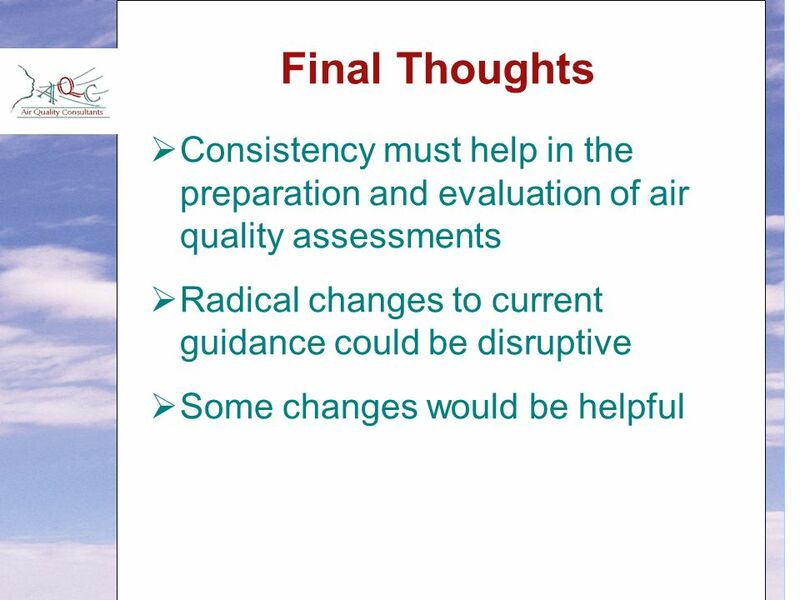 Combined Heat and Power and Air Quality - Guidance for Local Authorities Ed Dearnley Policy Officer. 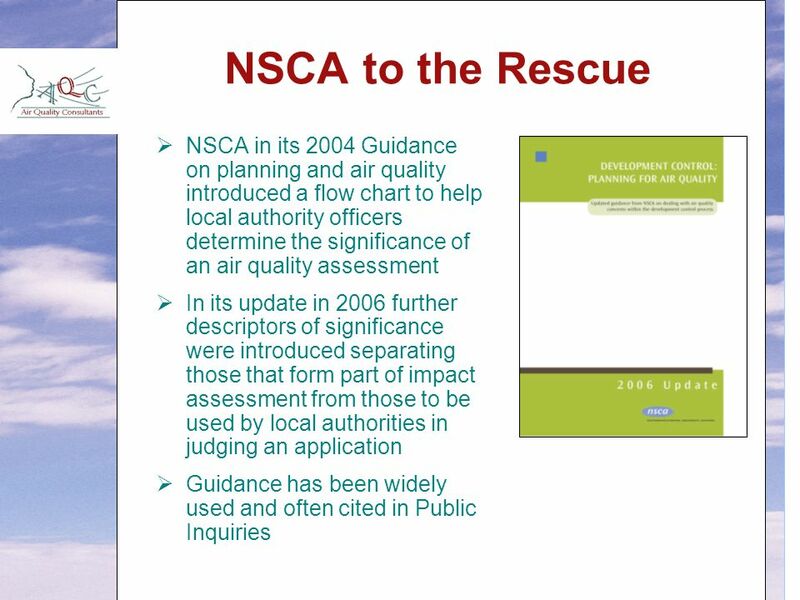 Air Quality and Land Use Planning Land Use Consultants 11 th March 2008 Susanne Underwood. 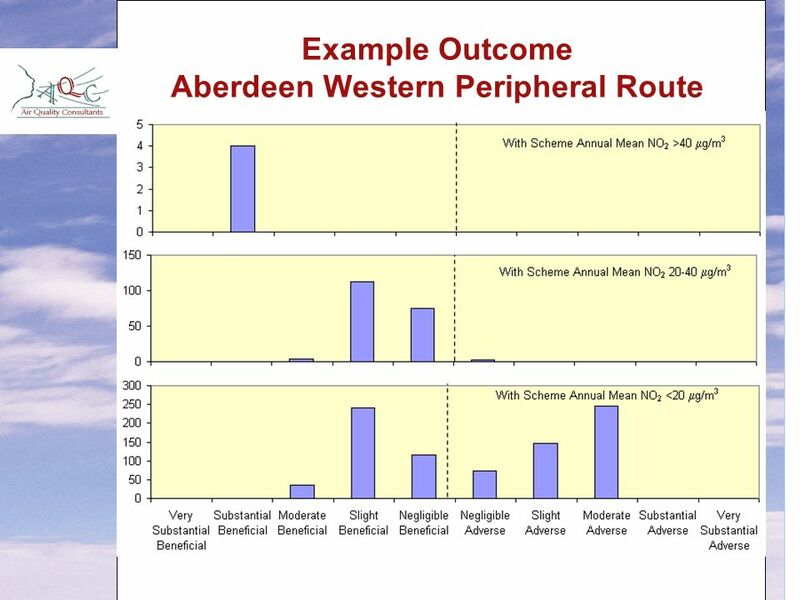 E nvironmental I mpact A ssessment Geog 456 – Spring 2008 Paul Fraser. 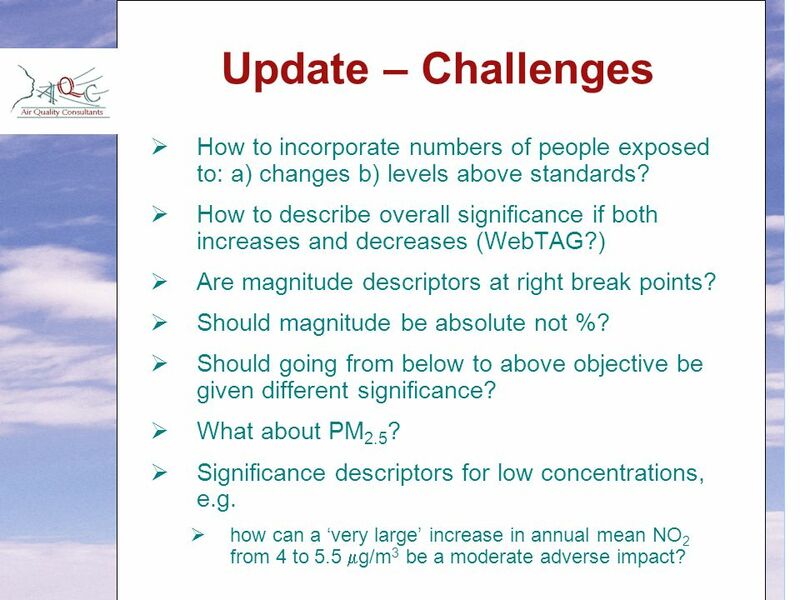 Air Quality Significance Criteria Dr Claire Holman LLP Director.